Freema­sonry in Iceland began in 1913 when a „society of brothers“, Edda, was established, in Reykjavik. Then, in 1918 Edda became a lodge of instruction. A year later, on the 6th of January 1919, it became a fully warranted lodge. Since then, a total of twelve warranted lodges and six lodges of instruction have been established. Icelandic Freema­sonry was under the juris­diction of the The National Grand Lodge of Denmark (Den Danske Frimurer­orden) until 1951 when the Danish Grand Master constituted the Grand Lodge of Iceland as a sovereign Order which has a total membership of 3379 as of the 15th of Mars, 2011. Icelandic Freema­sonry operates according to the Swedish Rite which is the dominant system in four of the Nordic countries and to some extent in Finland and Germany. It consists of eleven degrees, all of which are consi­dered a part of Freema­sonry. This system differs consi­derably from those used in English-speaking countries. However, there are common character­istics which make a visit to an Icelandic lodge meeting interesting and most worthwhile. 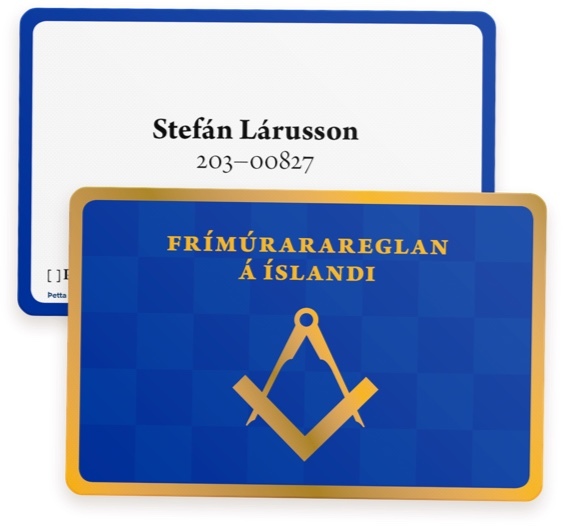 Masonic visitors from abroad belonging to Masonic Grand Lodges recognized by the Icelandic Order of Freemasons are cordially invited to participate in lodge meetings as they wish. A dark suit, white shirt and a conservative tie is recomm­ended and masonic regalia are desirable but not required. Visitors will be asked to identify themselves with papers from their home lodge and in a Masonic manner. Information on meetings of individual lodges and contacts with telephone numbers are to be found on this homepage. It is recomm­ended that you call ahead if you wish to attend. Brothers will be pleased to assist you in finding a suitable lodge meeting. Information about the Swedish Rite.